Usually, this blog covers marketing, and technology, but today, I want to talk about life. Specifically, life with my Tibetan Terriers. I’ll start with a photo of the newest family member, Shane’s Lord Raglan, an AKC-registered pup who just passed his six-month birthday. 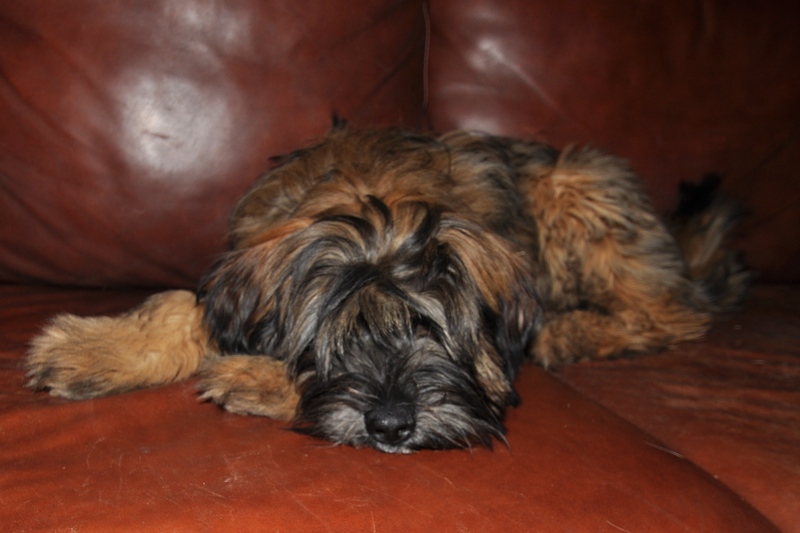 Raglan isn’t our first Tibetan Terrier, but he is our first registered “TT”. The others were rescue dogs from local shelters. 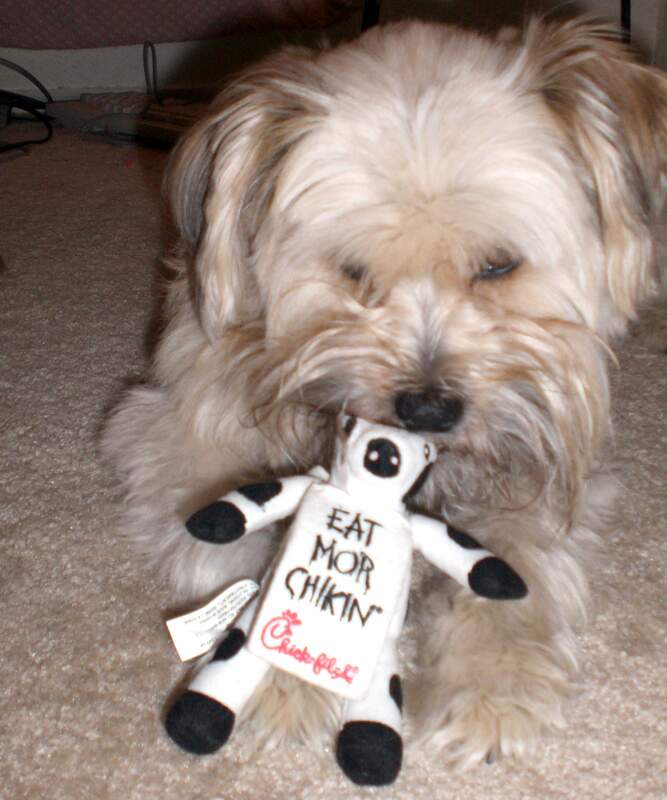 The first one was a mixed breed Lhasa Apso/Tibetan Terrier cross named Shane — who was my best friend for nearly 20 years. Then came the brother and sister duo of Dallas and Freddie, who were on death row at the Dallas Humane Society when I spotted Dallas and fell in love at first sight. Freddie was a “bonus boy” — the shelter wanted to keep them together, because they were so close, so they said that anyone who adopted Dallas had to take Freddie, too, and gave him to me without the usual fee. I couldn’t for the life of me figure out how such gorgeous, well behaved, sweet-tempered dogs wound up in a shelter. So I called my husband of six months, announced we were going to expand our family, and brought them home. That’s when I discovered that Freddie was quite simply, impossible to house break. It isn’t that he didn’t know what to do when he went outside. It’s just that he marked territory. Daily. And NOTHING stopped him. Not diapers, not keeping him in a crate, not keeping him on a leash, nothing at all. We hired a doggie shrink, sent him to obedience camp (twice), consulted the vet over and over again, and purchased every canine toilet training aid in three countries. He was going to mark his territory, no matter what. So we remodelled the house — pulling up all the carpet and installing both a dog door and stone floors — and Freddie was a loving companion until congestive heart failure took him at age 16.
when we adopted them from the shelter, but we already had a dog named Boston, and my husband Fred was married to a lovely lady named Alice for 19 years, and the last thing I wanted six months into my marriage was a pair of dogs named after my husband and his ex. So Alice became Dallas. I’m not sure she noticed, as she’s so independent, that coming when called isn’t actually on her list of “normal” behaviors — unless she smells food. She’s almost 17 now, and her eyes and ears don’t work so well anymore, but her nose works just fine. She sleeps a lot, but can still make it from the back corner of the master bedroom where she’s taken over a Ralph Lauren-upholstered Henredon chair to the kitchen in a flash if she smells something interesting. Dallas and Freddie are siblings, from the same litter, but she didn’t “breed true” — either that, or something fishy went on in the gene pool. Dallas has snowshoe feet, but does NOT have a double coat. One suspects that a self-respecting Tibetan Terrier breeder had a mild heart attack when they saw the two puppies side by side. That said, Dallas is a great dog. She loves to ride in the car, will shake hands and charm anyone she meets, and lacks any of the really bad habits that other Tibetans are prone to forming. And then there’s Waco. I saw her photo on the Richardson Humane Society’s website and thought, “Wow! She looks like Dallas. 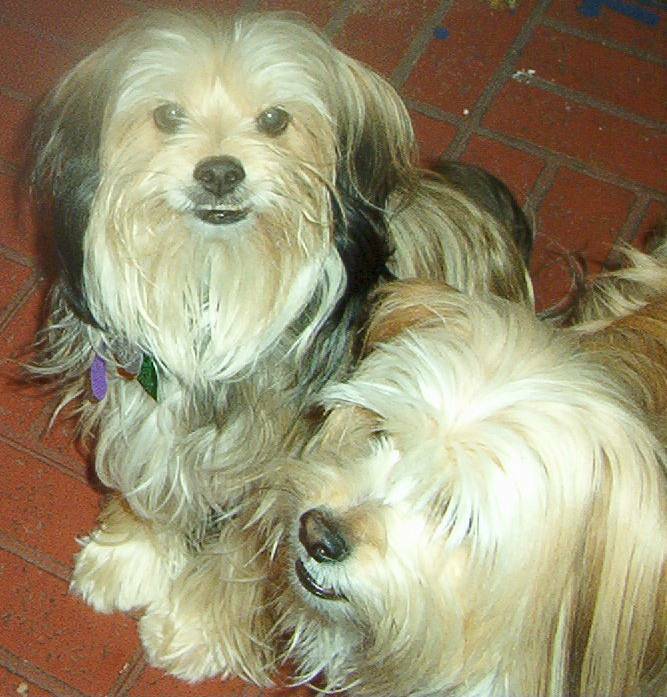 Wouldn’t it be great to have a pair of female Tibetan Terriers who looked just alike?” Silly me. Should have done my homework. I already knew that Dallas was the dominant personality in the “pack”. What I didn’t realize is that Tibetan Terrier females are almost always alpha dogs — that is, they want to rule the roost, and usually do. I also knew that Tibetan Terriers talk. Dallas has an opinion on nearly everything, and isn’t shy about voicing her complaints or thoughts in a kind of sing-song that you have to hear to believe. It isn’t usually barking, and it isn’t usually all that loud. More like a querulous old lady grumbling about something or another. And then we brought Waco home, and discovered what a truly vocal Tibetan Terrier is like. Waco talks non-stop, especially when she’s unhappy about something. And if she doesn’t get what she wants by vocalizing, she barks. If that doesn’t work, she howls. And what does Waco complain about? Dogs. Waco doesn’t like dogs. People, she loves. She goes into a paroxysm of barking to greet them when they arrive, and dances a grieving song when they leave without her. But dogs? Not so much. Nearly 10 years after arriving, she still wants to become an only dog. 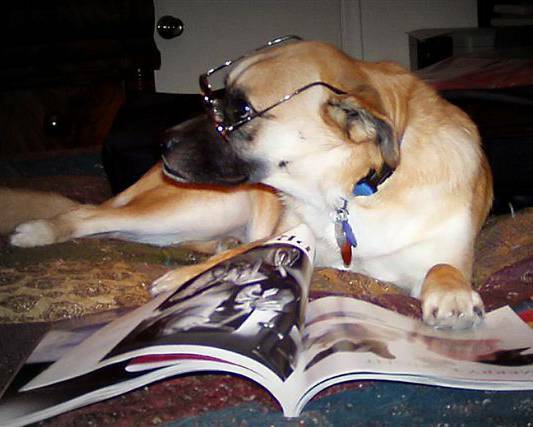 In fact, her opinions on life with other dogs are so often expressed, that she has a public Facebook page where she posts them — usually with photos, and always with a sarcastic wit that people seem to find funny. Yes, I’m one of those people whose dog has more active Facebook friends than I do. But Waco is funnier, and has more scriptwriters, and she also talks a lot more than I do. Waco is Fred’s dog, or rather my husband is Waco’s person. I adopted her, but she claimed him. She will notice me only if Fred is not in the house, or if he’s doing something and doesn’t have a lap for her to sit in. Me and Waco -- someone asked why I didn't post a photo of myself on this blog, so here it is. Which brings us to the headline. I bought a bumper sticker in Christchurch a few years ago that reads “Life is Merrier with a Tibetan Terrier.” Boy, they got that right! If you can live with a Tibetan Terrier and not spend at least part of your day laughing out loud, then see a psychiatrist, because you are clinically depressed. And if you can be in the room with a Tibetan Terrier for more than 10 minutes and not smile, you’re a teenager. Tibetan Terriers love to run, play, chew, wrestle, play, dance, walk, meet new people, and did I mention play? Tibetan Terriers will play with anything — but in our house, squeaky toys are the most coveted objects. Jasmine is the best trained of the bunch, and follows hand and voice commands for a variety of tricks. She’s patient with teenagers and kids who dress her up and put her through trick after trick. And she’s a quiet, gentle dog who would be a fierce defender if anyone was foolish enough to raise a hand to one of “her” kids. She also sheds more than any dog I’ve ever seen. With four long-haired dogs in the house, it’s the shortest-haired of the bunch who leaves the most hair on every conceivable surface, year round. And then there’s Jack. I was foolish enough to allow a 15-year-old girl into an animal shelter a few years ago, and found myself the proud mama of an 85-pound baby named Jack London. He’s a beautiful dog, and is a gentle giants who smells absolutely wonderful. I don’t know how to describe it, but Jack smells like expensive men’s cologne — musky, woodsy, and simply wonderful. I’ve never been around a dog who smelled anything like that before, but I’m grateful for it, because Jack wants to be a lap dog. An 85-pound, cuddly, lap dog. 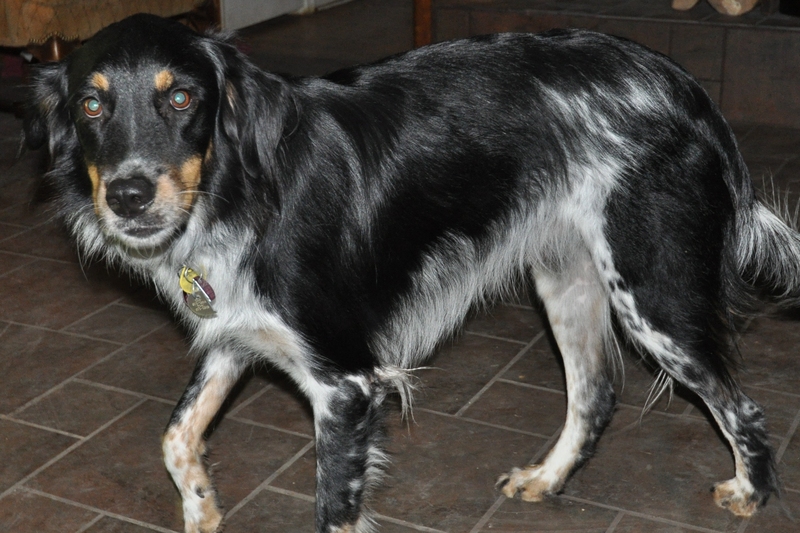 But while he inherited his colors and herding instincts from his border collie ancestors, he got his intelligence from the shallow end of the gene pool, and his seizure disorder from his Irish Setter ancestors. Jack is, to put it bluntly, a dumb animal. Dumb as a post, and terrified of thunder, towels or clothing being folded, rustling paper, and sudden noises of any kind. He “hides” by sticking his nose under the bed or the nearest piece of furniture, completely oblivious to the fact that 99% of him is perfectly visible. If he can’t see you, you can’t see him. I am Jack’s person. Krystal brought him home, but he adopted me. At night, when I can’t sleep, he lies down by the chair in my study and keeps me company. That’s what Jack does — he keeps people (and Tibetan Terriers) company, with a patience that has made him Raglan’s favorite chew toy. Life with five dogs is interesting. Jack and Jasmine are well-behaved, and aside from the effect muddy paws have on floors, and Jasmine’s shedding, they fit seamlessly into the life of a busy household that includes two adults, a college-age teenager yearning to be out on her own, and an active 10-year-old. I sometimes laugh until tears run down my face at the way Raglan tries to dominate Jack and Jasmine. He’s going to be big for a Tibetan Terrier — probably closer to the 30-pound max the AKC says is breed standard than the 20-25 pound norm. And he has very long legs — he’s already broken several dishes trying to steal food people thought was out of his reach on counter or tabletops. But he’s small compared to Jack. 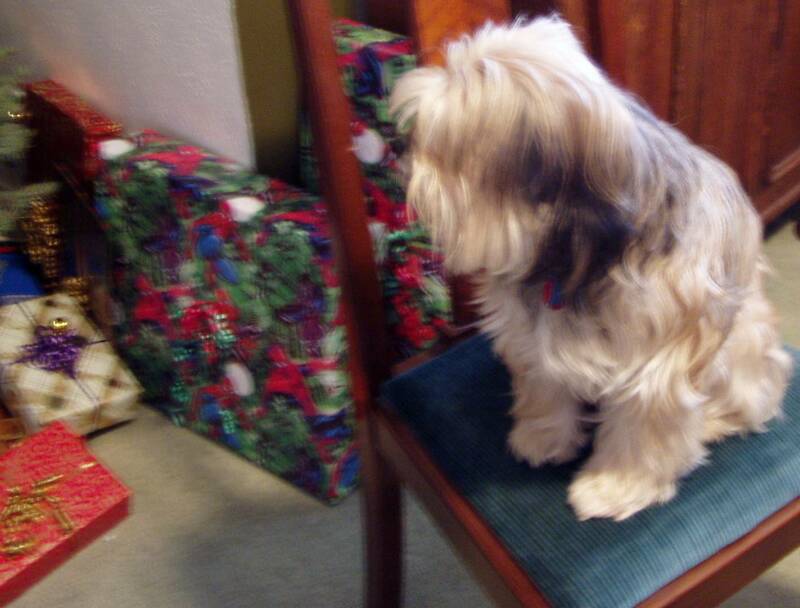 So I’ll close this look at the funny life of a family with Tibetan Terriers with this last photo. Hope you enjoyed them! 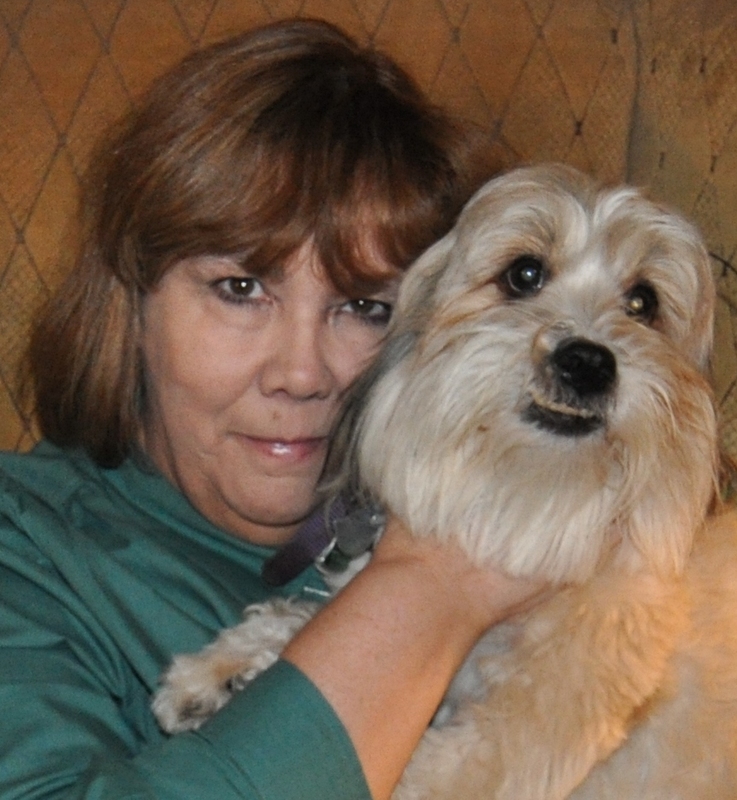 Gallery | This entry was posted in Uncategorized and tagged life with dogs, Tibetan Terrier, Waco Holland. Bookmark the permalink. Hi, Marcia — I am sorry to hear about your loss. I don’t remember the name of the poet who wrote that the only problem with loving a dog is that it’s guaranteed to end in heartache because they don’t live as long as we do, but it is so very true! I wish you success if you do decide to adopt another TT. They are amazing dogs, and your experience with Riley will make you a great mom for another TT someday. Thanks for the kind words about my blog, and for leaving your comment! Congratulations on your new baby! If you can handle a Jack Russell, you’re probably ready for a Tibetan Terrier! TT’s are the natural clowns of the canine works, and most of them are very, very playful. Like Jack Russell terriers, they need a lot of play time, a lot of stimulation, and a lot of attention. They also have to be brushed and groomed regularly. Expect to spend 15-20 minutes every day brushing your new puppy, and make sure that his or her fur doesn’t get matted. Tibetan Terriers have a double coat, so if the undercoat gets wet and matted, it can trap irritants next to the skin, and a Tibetan Terrier with a skin “hot spot” can be an expensive veterinary visit. I am going to email you directly as well. Again, welcome to the Tibetan Terrier fan club — I am sure you’ll be a lifetime member after a few days with your new puppy! Hi Deb. We have a female TT who we are mad, wild about. She is the QUEEN of our little domain, but lately has become withdrawn and behaves a bit like a throw rug – preferring to nap upside down for most of the day. She very rarely plays with her toys or with us. She seems physically ok (not spayed yet) but we worry about her behavior. Any ideas? If she’s young enough that she hasn’t been spayed yet, and she’s listless, then I’d assume one of two things. Either she’s simply bored and unhappy, or she’s sick (or pregnant — they can get pregnant younger than we think, and it only takes a minute or so). There are so very many things that a dog can get into this time of year that can cause stomach upsets or health issues. So the first thing I’d do is make a trip to the vet. If the vet doesn’t turn up any health issues, I’d try doggie day care for a couple of days. If she likes it, and you don’t have another dog, then I’d start looking for a companion for her. The Tibetan Terrier Club of America has a rescue organization that rehomes TT’s who need families http://www.ttca-online.org/html/rescue.html, but your local animal shelter or pound probably has a great dog that needs a home and would make a great playmate for your TT. Our youngest TT, Suchi, plays rough — it’s how we got her. Two breeders who show TT’s rejected her because she did so much damage to other TT’s coats and was just “too rough”. 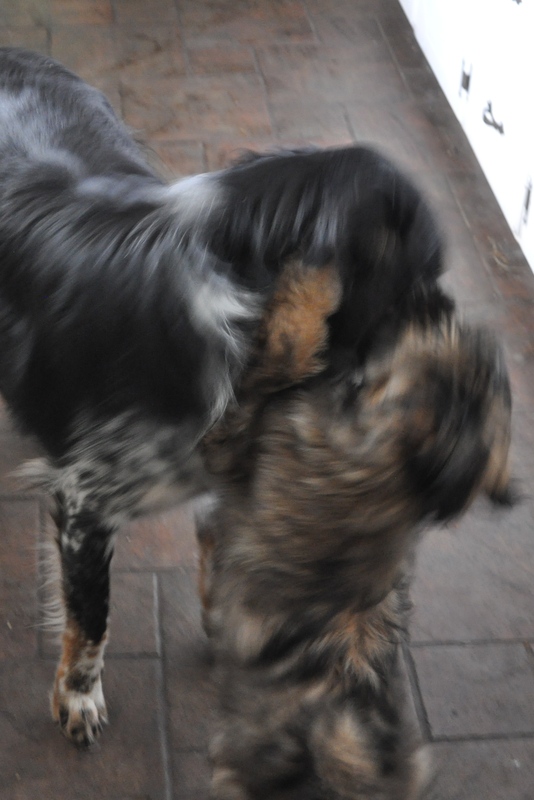 But she is PERFECT playing with our 78-pound Irish Setter/Australian Shepherd “pound puppy” Jack. The two are inseparable. Suchi even convinced him to dig holes under the fence for her (we have video with her showing him just where to dig and nudging him on, then him standing back to let her through). We had to rework our fence line to stop THAT little partnership escapade. P.S. On the other hand, we have another TT, Raglan, who IS a “bearskin rug” by choice, and is frequently seen in “his” big leather chair, all four paws in the air. He’s active in the evenings when one of us has time to play with him, or when there’s a walk or outing in the offing, but the rest of the time, he “conserves his strength” napping. This began when he was about 14 months old, and was just his personality as he got beyond babyhood. Deb, I love the way you write! I feel like I have met each of these dogs. Not only are your brilliant, you’re an animal lover and from my point of view, that’s more important! Thirty plus years in corporate America and I love dogs more than people. Well, most people….. Thanks, Barb! I agree on the liking dogs more than many people. Anyone who says money can’t buy love has never adopted a shelter pet! THanks for dropping by. I need to update this piece on the dogs with some photos of Suchi and Raglan! Very entertaining Deb. What a fun, busy household ya’ll have with all the personalities.